(l-r) Ted Fire, The Kraft Group; from PROCON: Matt Wirth, Joel Witham, Sam Ramaker, Justin Ritz, Mark Stebbins CEO and chairman, Michael Hebert, and Dan Messier; and Nick Smith, president of Rand-Whitney. Worcester, MA – Mass. Lt. Governor Karyn Polito spoke at the September 12 ribbon cutting of Rand-Whitney Worcester’s 45,000sf expansion event. Company President Nick Smith was joined by leadership, dignitaries, valued customers, and a group of employees in the celebration at its One Agrand Street headquarters. Rand-Whitney is owned by The Kraft Group of Foxborough — owners of the New England Patriots. Manchester. N.H.-based firm PROCON was the designer and construction manager for the project. The 45,000sf addition included new equipment and capabilities, much-needed storage space, a state-of-the-art waste extraction system, 22 dock doors, a shipping/receiving office area, truck storage areas, a dedicated truck-access driveway, increased trailer storage, and redeveloped onsite parking. In addition to adding a warehouse to the site, the company upgraded the look of the overall campus. Therefore, after completing the warehouse, the team began work on improvements to the adjacent building that houses graphic design for Rand-Whitney located at 207 Greenwood Street. The building’s façade received a facelift with renovated windows, LED lighting, and a new exterior paneling system painted in the signature Rand-Whitney Blue. The headquarters building received a complete makeover with efficient storefront windows and a composite/insulated metal panel combo. Offices, common areas, and conference rooms were also updated along with new stand-up desks for the staff, also finished in the company’s signature color. Lastly, the main lobby was refurbished with modern interior finishes in keeping with the company’s branding. Overall improvements produced an updated and consistent design across the campus. The increased plant infrastructure will also give them the ability to purchase more capital equipment, maximize their production, and grow their capabilities and offering, which is a win-win for their employees and customers. Such changes prompted the family-owned business to expand and renovate to remain competitive in the manufacturing market. Among the notable attendees was The Kraft Group leadership that included the Founder Chairman and CEO Robert Kraft, as well as Jonathan and Daniel Kraft the President and International Presidents’ respectively. Worcester City Manager Edward M. Augustus, City Councilor George Russell and PROCON’s Chairman and CEO Mark Stebbins also turned out to congratulate the company. It was a complex project requiring the construction team to work around the daily operations of the existing facility. “It was really close quarters that took a lot of work on everybody’s part. I want to thank my PROCON design and construction team who has been down here working shoulder to shoulder with Nick and his team to get it done. I think the people that work here must be incredibly proud to come to work at such an amazing building. It has come into the modern times, and is a much more efficient and productive facility” declared Mark Stebbins. Rand-Whitney is one of several companies owned by New England Patriots’ Owner Robert Kraft. As such, it is the largest independent corrugated packaging manufacturer in New England with areas of expertise in cost-saving package re-engineering and custom lean manufacturing programs. The company also produces and ships corrugated displays, shipping containers and folding cartons to a variety of industrial and consumer end-users. The Worcester headquarters is their third warehouse collaboration with PROCON, who previously partnered with them on facilities in Dover, NH, and Pawtucket, RI. 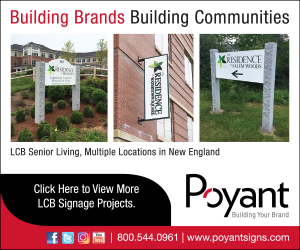 PROCON is a single-source, design and construction management firm serving commercial developers throughout the Northeast. The 83-year-old, 4th generation Company was built on integrity, lasting partnerships, and a steadfast commitment to client success. The Company’s one-stop-shopping approach to design, engineering and construction services means that at PROCON, every solution is just down the hall.